Book Awards, are they worth the investment? With one new book being published every five minutes in the U.S. alone, competition to get your title noticed is fierce. Now, more than ever, it's crucial to your success that you gain recognition for your title. But how do you help your book stand out in the midst of so many other selections available today? There are several schools of thought on the matter and the truth is, there is no one-size-fits-all approach. Just as each book is different, the means by which you market your book will also vary. It is, however, commonly agreed that third party endorsements are key to the success of promoting one's book. These endorsements can come in many forms. But in this article we are going to touch on book awards. Literary awards have been around for nearly a century, with one of the longest running book awards (the James Tait Black Memorial Prize - UK) being founded in 1919. Most U.S. state book award recipients are selected through a nomination process. But today publicists and authors have a myriad of trusted book award programs from which they may elect to enter. The categories and criteria are many and varied. But are they all worth your time and money? Most require a fee to enter, and then of course there is the expense of any books which must be sent in along with your entry. What are the benefits of winning a book award? First there are the bragging rights. Let's be honest, we would all like that, right? But how does this benefit you as an author when it comes to sales and the bottom line. Well that all depends upon what you do following the announcement of your award. If you really want to make the most of your award, it's important that you help get the word out. Book awards are newsworthy. So the first thing you want to do is send a press release to every local media contact you can possibly find. If your title is specific to a genre (say a children's book) then you'll want to also send your press release to local and national publications (in this case magazines for parents or grandparents) which cater to that demographic. Are you a member of a writers' organization? Many such organizations publish newsletters in which they include member announcements. 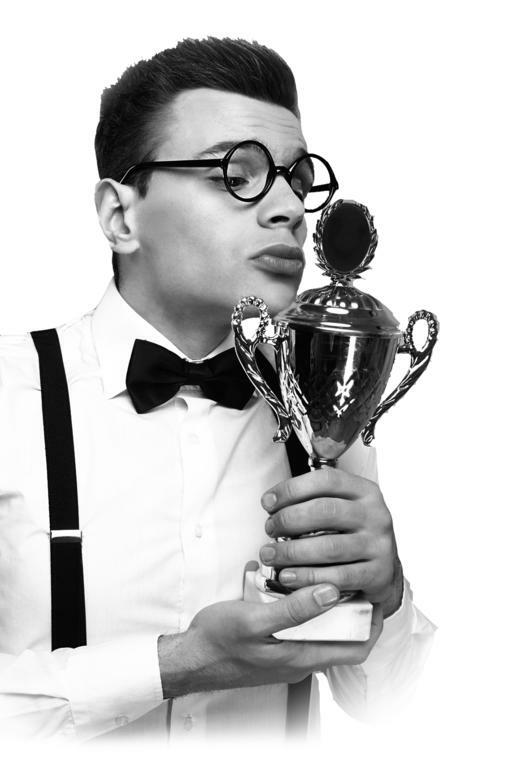 If you win an award, you'll want to make sure you submit your press release to them as well. Additionally, you'll want to announce your award on any social media sites, websites or blogs in which you participate. Keep in mind if the award program has a preliminary announcement, such as a long list or finalists, you will have more opportunities to tout any recognition you received every step along the way. And, if there's an awards ceremony, we're talking photo opp. Award ceremony photo opps are a golden opportunity for keeping your recognition in the forefront of people's minds. If you work it to your advantage, you can milk that award for a very long time. Of course, you'll always be able to list your award on your website, in your bio, on future print runs of your book, bookmarks (and the list goes on and on). Award seals can be worth their weight in gold. Did you know that when the cover of your book sports an eye-catching award seal, people are more likely to buy? Ask any author who has won an award. They'll tell you that if you put two books side-by-side, the one with an award seal is more likely to sell. Many book award programs allow you to purchase award seals, but will also make award seal images available to you for use in future print runs, (In some cases there is a licensing fee for this. But some award programs do not charge for this, so you won't have any additional out of pocket expenses to tout your award winning book). All book awards are not created equally. It would serve you well to do a little research before choosing which literary awards are most reputable and offer the most bang for their buck. There are some out there which do little more than take your money. After you've won, you have nothing to show for it but the bragging rights and perhaps a certificate to hang on your wall. Still other award programs offer award ceremonies (which can provide valuable networking opportunities and photo ops), scholarships to attend conferences, opportunities to participate as an award winning author at book fairs and other events, author spotlights on websites and blogs, etc. Once you've decided to enter an award you'll need to decide which categories you wish to enter. Often, subsequent categories after your first selection are offered at a discounted price. Most book award programs receive the largest number of entries in general categories. Therefore, it may behoove you to enter multiple categories, and more specifically, categories which might typically receive fewer entries, thus increasing your odds of winning.